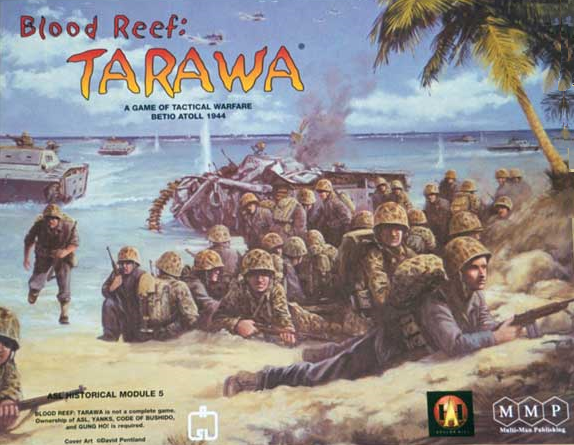 Historical Module for Advanced Squad Leader, recreating the invasion of the US Marines in Tarawa. 2 historical-accurate mapsheets, 7 scenario campaign game. Originally published in 1996 by Heat of Battle. Multi-Man Publishing later aquired the rights and published an updated and expanded version. Advanced Squad Leader, Code of Bushido: ASL Module 8, Yanks: ASL Module 3 and Gung Ho! : ASL Module 9 are required.